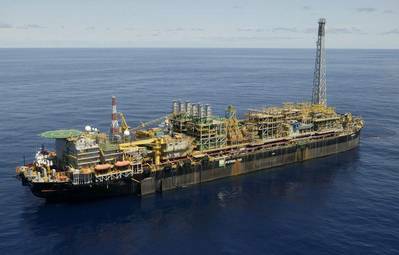 Rolls-Royce will supply Petrobras with advanced maintenance and repair services to support fifteen Rolls-Royce RB211-G62 industrial gas turbine power generation units which are installed on four Petrobras oil platforms operating in the petroleum rich, pre-salt Campos Basin. The four Petrobras platforms, which together can produce over 500,000 barrels of oil per day, or 25 per cent of Brazil's entire output, are reliant on nearly 375MW of Rolls-Royce generated power to maintain a consistently high production output. The Long Term Service Agreement (LTSA) contract, which has a potential value of up to $220M over its five-year renewal period, will help ensure that the Rolls-Royce units continue to operate at peak performance levels of efficiency and reliability. Over fifty Rolls-Royce engineers and technicians are working on the project, most based full-time on the four oil platforms. The Rolls-Royce Energy workshop at Macae in Brazil supports their work, and in 2014 Rolls-Royce will inaugurate a new, $100m-plus investment, purpose-built gas turbine package, assembly and test facility in Santa Cruz in the state of Rio de Janeiro, further strengthening Rolls-Royce local, in-country manufacturing and services presence. The Rolls-Royce scope of delivery includes both deck machinery and propulsion to vessels designed by Nam Cheong for anchor handling operations with a vessel pulling power (bollard pull) of 80 tonnes.The contract includes an option for equipment for additional future vessels. Nam Cheong Limited is the second largest builder of Offshore Support Vessels east of the Suez Canal. The vessels will be built at different shipyards, four in Malaysia and six in China. The vessels will be equipped with several low pressure hydraulic driven winches from Rolls-Royce to be able to carry out a wide range of offshore anchor handling and supply duties. Rolls-Royce will also deliver azimuth propellers, two tunnels thrusters and the propulsion control system (Helicon X3) for each of the vessels.